Today's immigration protest at Hong Lim Park supposedly come after 2 years since the sparkling of the main protest in 2013 which is the largest protest in SG. I guess the organizer held it today due to Lunar New Year drawing near as people might be busy with spring cleaning & stuff. I don't see the major socio-political sites promoting the event way in advance so the awareness was only known to me via the comments posted by others. Turnout at 5pm. Not many people. Sinkies are a pragmatic bunch. Getting them to attend the protest is tough. I have that 'voice' in my head telling me why bother waste time go down to Hong Lim park? I dropped in to a bicycle shop to check out its business. Hanging on with its fingernails due to high rent & e-commerce. There isn't much accessories there due to online stores. Cycled on to library to drop off 4 unwanted books(free up space at home) onto unwanted shelf. Stayed at protest site for 45mins. Then rode on to check out newly opened restaurant at Marina Barrage before nightfall. It's been vacant for many months since the prior restaurant went bust. Preferred seats are those with sea view. At 6:30pm, do you see any diners at this seafood restaurant at Marina Barrage? The biggest catch which is an unexpected discovery of today's trip however turned out to be HavelockII - a building for office & retail. 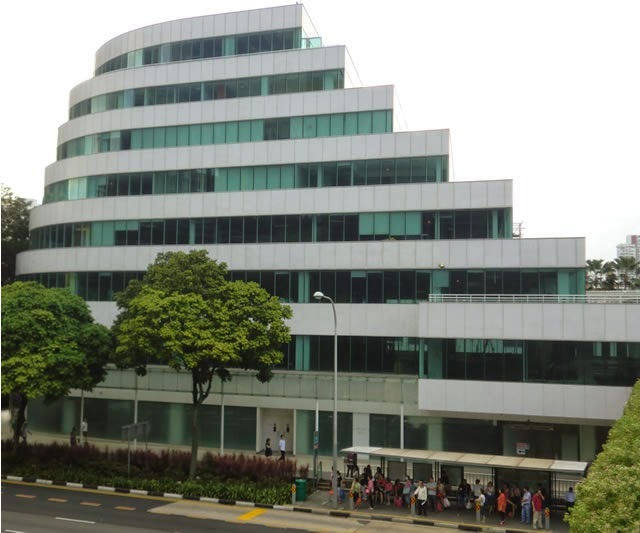 This building is opposite Hong Lim park. I went up the overhead bridge to snap a picture of the protest turnout, turned my head & noticed many vacant spaces. All the shops on the ground floor went bust. 2nd level is vacant too. Other higher levels looks deserted as well. Zoomed-in-view of the 2nd floor. Can see through to the other side of the building. Exterior of HavelockII looks nice but is a totally different story for the interior. 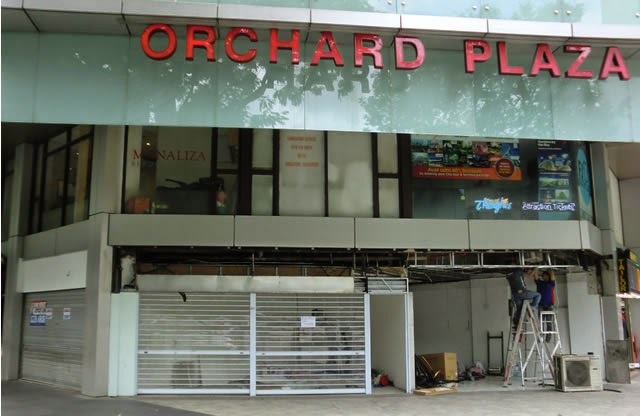 Speaking of businesses dying, i've written about the Rot & Decay in Orchard Road Shopping Enclave Beside Istana where many shops inside Orchard Plaza went bust last year. Here is an update on the exterior. I'll let the pictures do the talking. 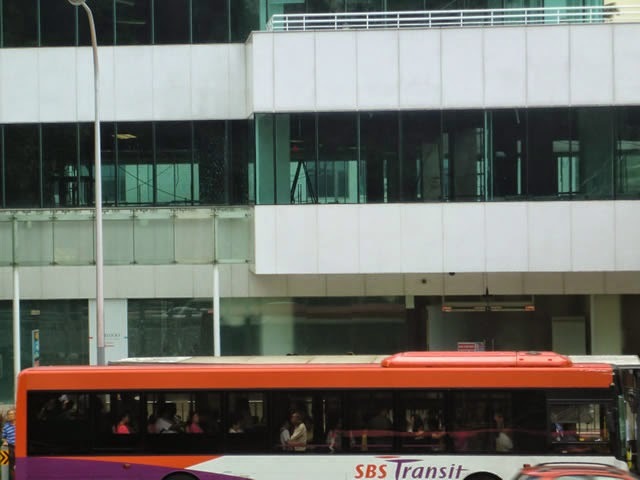 Taken in Oct 2014. 1 down. But will the shops that went bust and more vacant floors translate into more votes for the opposition next Election, that's the question. 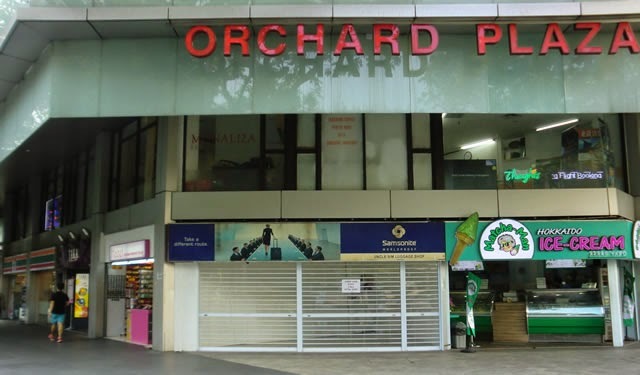 And for every shop that went bust, or a local Sinkie PME lost his job, will there be one or more new Sinkies created by PAP govt to reach the 6.9 million population target? And it's a no brainer how these new Sinkies will vote.